The epitome of luxury styling, the 2019 Mercedes-Benz C-Class Sedan is perfect for the discerning driver that is looking to turn their everyday drive into a brand new experience. Available at Keyes European Mercedes-Benz in Sherman Oaks, CA, the new Mercedes-Benz C-Class has a myriad of features that make it one of the most desirable vehicles on the market today. To showcase just a few of the impressive features you can expect from this masterful work of German engineering, we’ve compiled the following. 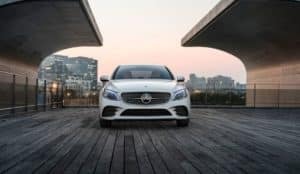 In terms of high-performance engine design, the 2019 Mercedes-Benz C-Class offers a smooth and quiet ride that doubles down and as well offers impeccable fuel efficiency. Thanks to twin-scroll turbo, Direct Injection, and CAMTRONIC valve adjustment, the Mercedes-Benz C-Class achieves a staggering 255 horsepower while retaining its impressive 34 highway MPG rating. Step inside of the Mercedes-Benz C-Class Sedan, and you’ll find it’s been sculpted to indulge all of the senses. The 12.3-inch digital instrument cluster and 10.25-inch center screen give you the true cinematic experience while you comfortably operate the steering wheel-mounted controls. The plush interior materials are sleek and provide you with the ideal level of support and comfort. For drivers seeking the latest in in-vehicle technology, the Mercedes-Benz C-Class is an automotive dream for the tech-savvy. The vehicle’s interface seamlessly connects to your Android or iPhone when you enter the vehicle, allowing you to control all your favorite apps using a combination of voice activation and the steering wheel-mounted controls. 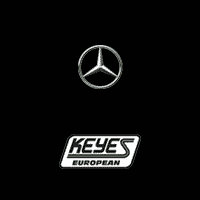 If you would like to schedule an appointment to test-drive the impressive new 2019 Mercedes-Benz C-Class Sedan, don’t hesitate to reach out to Keyes European Mercedes-Benz in Sherman Oaks, CA using the contact form on our website.